With Our Trained Protection & Detection Dogs! Are you looking for professionally trained dogs? If yes, you have landed at the right place. 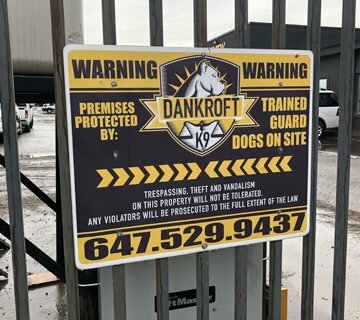 Dankroft K9 is a locally owned dog facility in Toronto offering compound guard dog and detection services. Whether you need a K9 for protection or detection, we will train it to suit your needs. We employ trained & strong explosive detection dogs to locate, deter and eliminate the explosive threats. Our bed bug detection dogs have undergone thorough training to find the bug population inside your home. 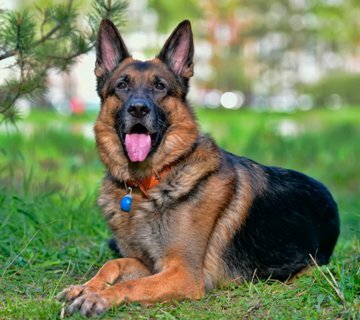 We provide 24 hour guard services to ensure round the clock safety of your family with trained guard dogs. Highly skilled drug detection dog teams can be a major asset in any successful drug interdiction program. 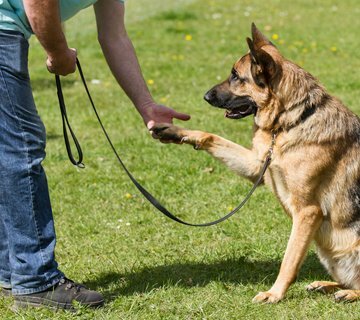 We provide obedient dogs who would listen to your commands and follow the instructions you make them learn. All dog breeds don’t behave in a same manner and needs to undergo behavioral modification training. #1 Provider of Security Guard Dog Services in Toronto and surroundings. 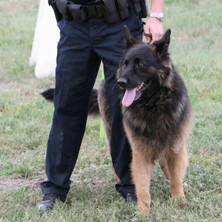 Dankroft K9 provides efficient drug searches with certified dogs. 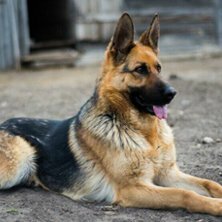 Dogs are certified by American Working Dog Association. 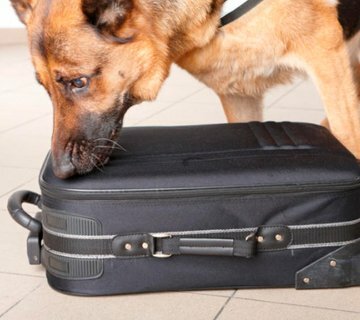 Our K9’s are trained to search for the presence of narcotics in all environments. 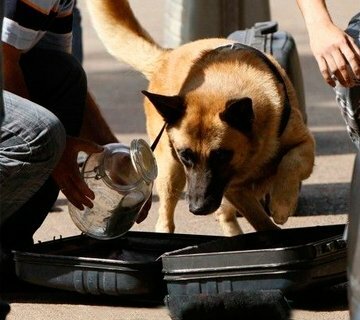 We assess our dogs to maintain a high level of proficiency while detecting drugs. At Dankroft K9, we provide highly trained dogs to locate the presence of bed bugs inside your premises. With the strong sense of smell that our bug scent detection dogs possess, even the hidden bed bugs can be effectively detected and controlled. We strive to provide accurate detection. 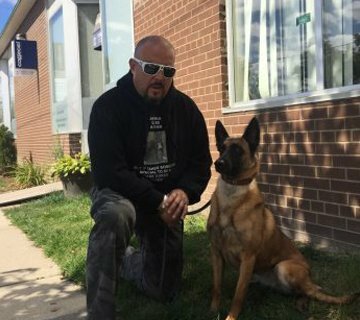 At Dankroft K9, we have a highly qualified K9 response team which is capable of delivering protection dogs services in Toronto. Our staff work with our dogs in various environments to train them for scent detection, explosives, bed bugs, narcotics and many others. I first hired Danny for several one-on-one training sessions with Charlie, my German Shepherd/Lab cross. It was a last attempt to help a dog with numerous issues such as aggression, dominance and a history of biting both people and other dogs. I found Danny to be extremely knowledgeable and hands-on in terms of his handling skills. After the intense training sessions with Danny, I was able to effectively manage, control and improve Charlie’s behavior. In addition to his expertise, Danny also offered me consistent, supportive follow-up. He was always happy to and available to provide support over the phone, and has been amazing in terms of checking in on Charlie’s progress to this day. We were referred to Dan when we got our second rescue Sammy. She was a lot more unstructured and skittish then our first rescue and I had a hard time handling both dogs on my own. Dan has given us structure to follow at home with Sammy and has been socializing her in ways that we would not have been able to and the nature of his training allows the dogs to build their own confidence, plus he offers constant support via phone and text. Would trust him with any dog! I met Dan back in Nov ’16. My dog was not socialized with other humans or other dogs. After 1 week of training I saw a huge difference in her behavior. After 2 weeks, she was a whole new dog. Patience, strength and kindness are the qualities I could see in Dan. He has a great talent for training and teaching dogs. 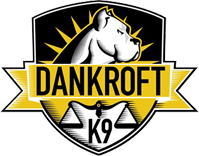 If you need your dog socialized, or if your dog is disobedient, or your off for vacation, contact DanKroft K9- they do it all. Training, doggie day care, whatever. Thank you, Dan, for all you and your family have done for me. Peace of mind knowing my girl was in good hands with you and the work you did was so evident in the results- much appreciation and gratitude. Keep up the excellent work! Best dog trainer in the GTA. I would trust him with any dog without hesitation! We had given our German shepherd Max to Dan at Dankroft k9 service. Max was super possessive of his food and toys at times he would not let people touch them. He had bitten me, my bother and my mother as a result of this majority of the family was scared of being around while he was in the house. He was also very overprotective so he would not let strangers coming to the house or let them approach us while we were on a walk. It got to the point where if a stranger made eye contact he would feel that they were a threat. Dan was extremely knowledgeable and patient he knew what had to be done from the get go. A week later he was like a totally new dog. Listening to the commands given to him being friendly to strangers. Dan is knowledgeable and friendly he knows what he’s doing. I would recommend him to anyone who needs their dog trained for either behaviour modification or even obedience training. Looking For Trained Explosives Detection Dog In Toronto? Call us to schedule an inspection service.